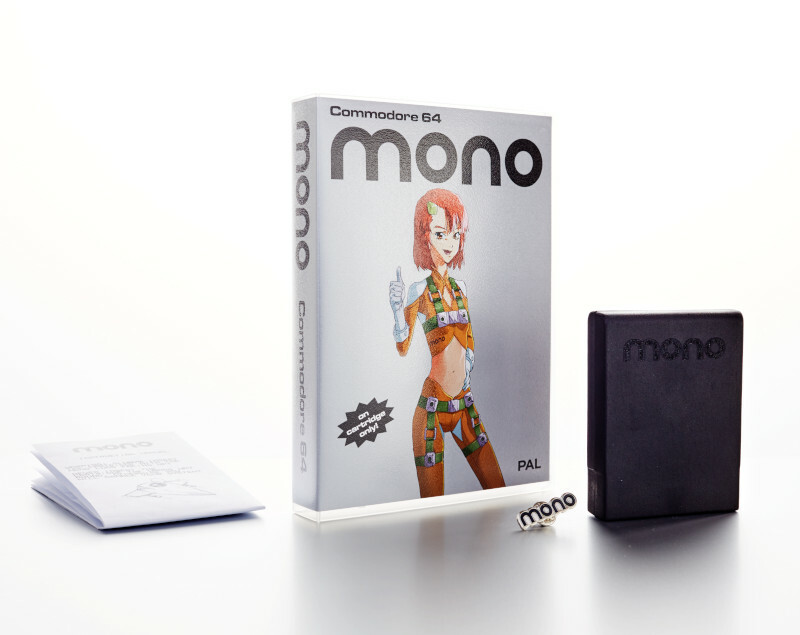 Get ready for fast paced blasting action, as we've recently been informed by Clay Spoerri and Raphael Graf that they have released their new game 'Mono' as a fully fleged cartridge for the C64. This is an arcade style shoot 'em up game whereby fast reaction times count, as enemies will come at you in waves and be completely unforgiving! Priced at 34.90 EUR + 5.- EUR shipping for the C64 and 128 Pal Systems only. Mono features 6 challenging levels, an original soundtrack, powerful bosses, multiple intelligent enemy types, 50fps fulent gameplay, a unique scoring system, keyboard and joystick control, and is available as a 16KB cartridge.